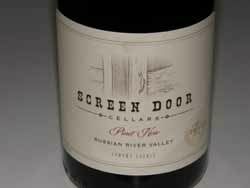 It was nearly tens years ago when I first profiled winemaker Jamie Kutch in the PinotFile (“Following Your Pinot Dream,” www.princeofpinot.com/article/1274/). I like to think I had a little role in his decision to leave a successful Wall Street career to pursue a life’s work as a Pinot Noir vintner. Jamie admitted that he had read every issue of the PinotFile leading up to his career change. Since 2005, I have followed the evolution of his wines and applauded his success. After years of crafting wine at Deerfield Ranch Winery in Sonoma Valley, he proudly moved into his own winemaking facility in 2012. The new winery gleamed with 30 new tanks including Grenier 4-ton wood tanks from France (the same as used at Domaine Romanée-Conti). Jamie has become a strong proponent of whole cluster fermentation, a vinification technique that has become more en vogue in California and Oregon in recent years. It is not new, for the Burgundians practiced stem inclusion in the production of Pinot Noir for centuries as historically they had no de-stemmers. The use of whole cluster fermentation fell out of favor stateside when modern de-stemmers arrived over fifteen years ago, but a number of vintners such as Jamie have successfully championed the technique. Inclusions of whole clusters (intact berries and stems) in fermentation adds an extra dimension to the structure, texture, sensuality, and aromatic and flavor profile of Pinot Noir. There are potential pitfalls to this technique such as potential green aromas and flavors, so appropriate vintage, clone and vineyard site are critical for its success. It is important that grapes are sourced from cooler sites where sugar ripeness and physiological ripeness occur in tandem and coincide with stem lignification. Jamie!s vineyard sources in the far west Sonoma Coast satisfy this criteria. When vintage conditions cooperate, such as in 2013, 100% whole cluster fermentation can produce seductive wines. All the following wines were 100% whole cluster fermented using native yeasts, underwent native malolactic fermentation, and were aged sur lie for 10 months without racking. Punch downs were carried out twice a day by foot. Despite the whole cluster fermentation, which can potentially lead to relatively unapproachable wines upon release, these wines can be enjoyed now, but should evolve beautifully in the cellar. All three vineyard-designate Pinot Noirs are distinctive and terroir driven, a conclusion I reached after tasting, and later was corroborated by Jamie. 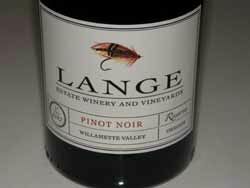 Commenting on the 2013 vintage, Jamie said he was pleased with the Pinot Noirs. “They show welcome freshness and purity, somewhat akin to the 2011 vintage. Yields were down compared to 2012, but still bountiful.” Jamie felt that the wines expressed their sense of place more than any previous vintage in part due to a higher skill level in the winery and the use of equipment to preserve the fruit character. His 2013 wines also benefited from his increasing familiarity with his vineyards with each vintage that allows more precise decisions unique to each site. What I admire about Jamie is that he is a thinker and innovator, rather than someone who follows the pack. 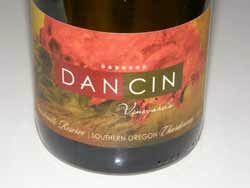 As Jamie notes, “I will never stop pushing the envelope nor play it safe.” The Sans Soufre Pinot Noir is a perfect example. 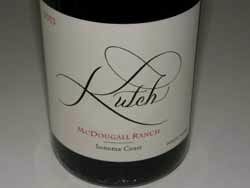 Kutch wines are in limited production and are only sold through a mailing list at www.kutchwines.com. Two releases a year, in January and July, are offered through email and can be ordered then online. Consistent buying patterns over time lead to increased amounts of wine offered. In July 2014, I reported on my first exposure to the 2012 wines of Csaba Szakal, the proprietor and winemaker of En Garde Winery in Sonoma Valley. Csaba launched his winery originally in Livermore in 2007, but soon quit his day job as a computer programmer, moved to Santa Rosa, and pursued fruit sources from the Russian River Valley. He began crafting his wines at the Mayo Winery facility in Sonoma Valley and opened a stylish tasting room nearby on Sonoma Highway. 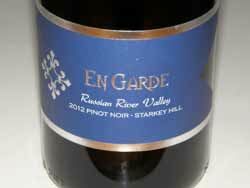 The first En Garde Russian River Valley Pinot Noirs were released from the 2008 vintage. 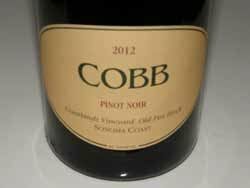 I visited Csaba this past summer and tasted some of the 2012 Pinot Noirs from barrel. I recently had the opportunity to taste the same wines from bottle. The vineyard-designated and reserve wines are still very young and the aromatics haven’t fully arrived, but the wines are very promising and will show much better when released in the spring or summer of 2015. 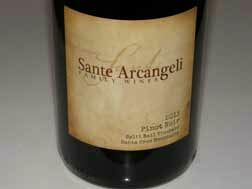 Csaba told me both of his Pinot Noir vineyard sources were picked at about 25º Brix. The different clones were picked and processed individually over a two week period in early mid-October. Fermentation was whole berry with 10%-25% whole cluster after a 4 to 5-day cold soak. 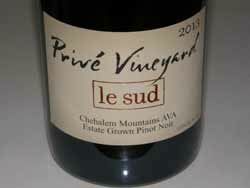 The Pinot Noirs were aged 10 - 18 months sur lie with battonage over the winter. The wines were bottled unfined and unfiltered. En Garde wines, which including a number of award-winning red varietals other than Pinot Noir, are sold through a mailing list, the website at www.engardewinery.com, and the tasting room. The tasting room is open daily from 11:00 to 6:00. Reservations are recommended for a complete tasting experience, especially enjoyable if the charismatic Casaba presides over the tasting. 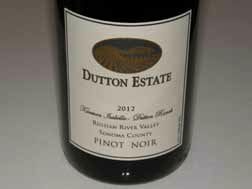 Elliott and Lynn Dolin, proprietors of Dolin Malibu Estate Vineyards, introduced a new lineup of Central Coast Pinot Noirs in late 2014. 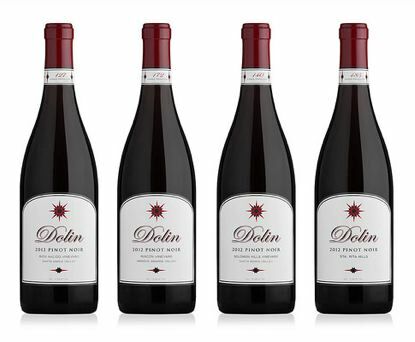 The inaugural Dolin Estate Pinot Noirs come from the 2012 vintage and include a Central Coast Rosé of Pinot Noir, a Sta. 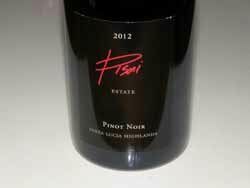 Rita Hills Pinot Noir and three single-vineyard Pinot Noir bottlings from Bien Nacido, Talley Rincon and Solomon Hills vineyards. Dolin Estate was established in 2006 when the Dolins planted 900 Chardonnay vines on their Malibu property that overlooks the Pacific Ocean. Elliott, who was a former studio musician and performer in The Manhattan Transfer, developed an interest in wine when he fell in with a group of Los Angeles area wine collectors and began taking wine appreciation classes at UCLA. 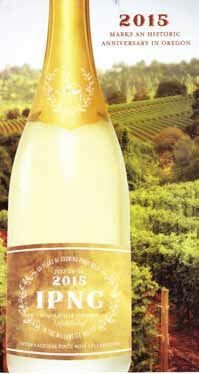 Following the release of three vintages of Malibu Estate Chardonnay, the winery planned to expand its production, adding more Malibu wines from neighboring vineyards in the newly approved Malibu Coast AVA in 2015. Beyond this, working closely with Central Coast winemaker Kirby Anderson (there are no wineries in Malibu), and leveraging relationships with top growers, Elliott was able to secure Pinot Noir fruit from his favorite Central Coast vineyards. 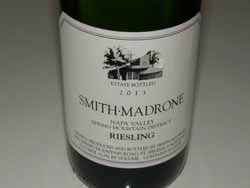 Anderson has vinified the Malibu Estate Chardonnay since 2010 and all the Pinot Noir offerings that began with the current 2012 vintage offering. 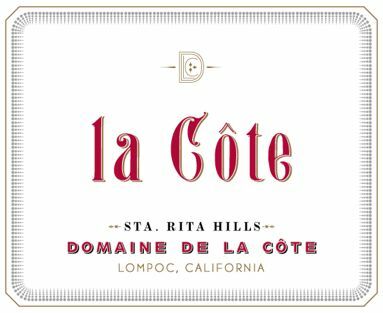 The wines are sold on the winery’s website at www.dolinestate.com and through a mailing list. They are priced right with exceptional quality at the right price. The wines are also on the wine lists of some of some of Los Angeles’s most prestigious restaurants. MacRostie, with a 27-year history of making Sonoma Coast wines, is a defining California winery and a familiar name to wine enthusiasts. 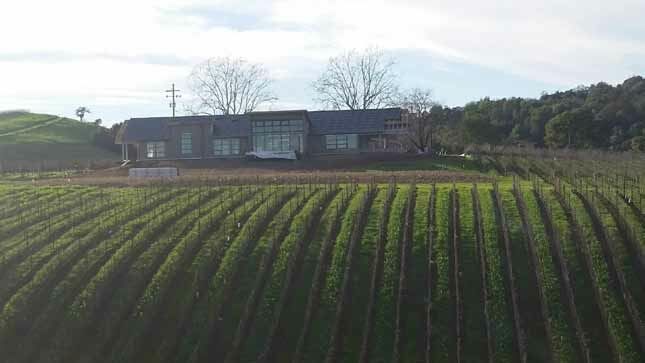 The last several years have seen sweeping changes at MacRostie that include the sourcing of grapes from some of Sonoma Coast’s most legendary vineyards and the building of a new winery and MacRostie Estate House on Westside Road in the Russian River Valley (the photo below shows the new project under construction in December). The MacRostie Estate House is located on a hill overlooking Westside Road surrounded by the vines of the 13-acre estate Thale’s Vineyard (named after Steve’s spouse) planted to Pinot Noir. When completed in early 2015, the MacRostie Estate House will feature multiple indoor and outdoor tasting venues and an adjacent Pinot Noir focused winery. Steve began his winemaking career in 1974 at Hacienda Winery at a time most winemakers were fixated on Cabernet Sauvignon and the Napa Valley. 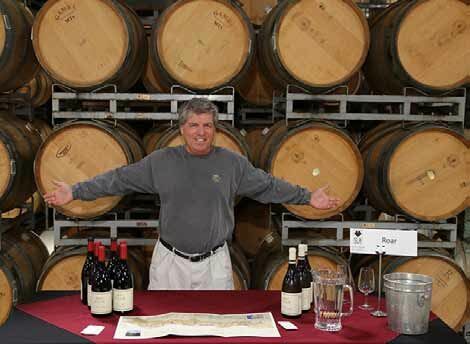 Steve took another path and embraced the cooler vineyards of Sonoma County, producing exceptional Pinot Noir and Chardonnay at Hacienda during his twelve years at that winery. 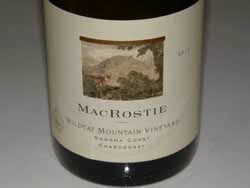 In 1987, Steve established MacRostie Winery and Vineyards and began his quest to champion quality in the region. 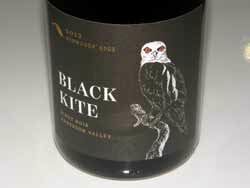 By 1992, Pinot Noir had been added to the winery’s portfolio, and MacRostie quickly developed a devoted following. 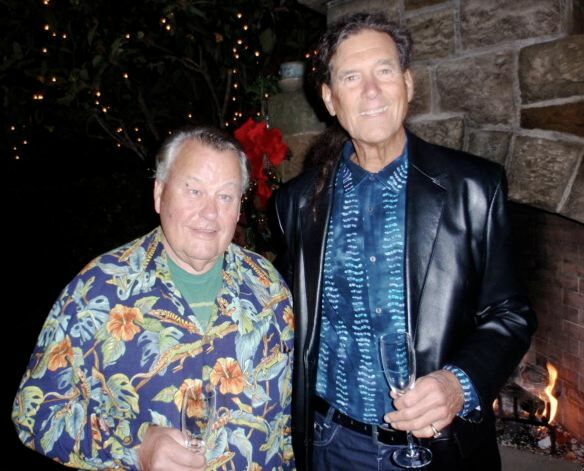 In 1998, Steve planted Wildcat Mountain Vineyard in partnership with Nancy and Tony Lilly. 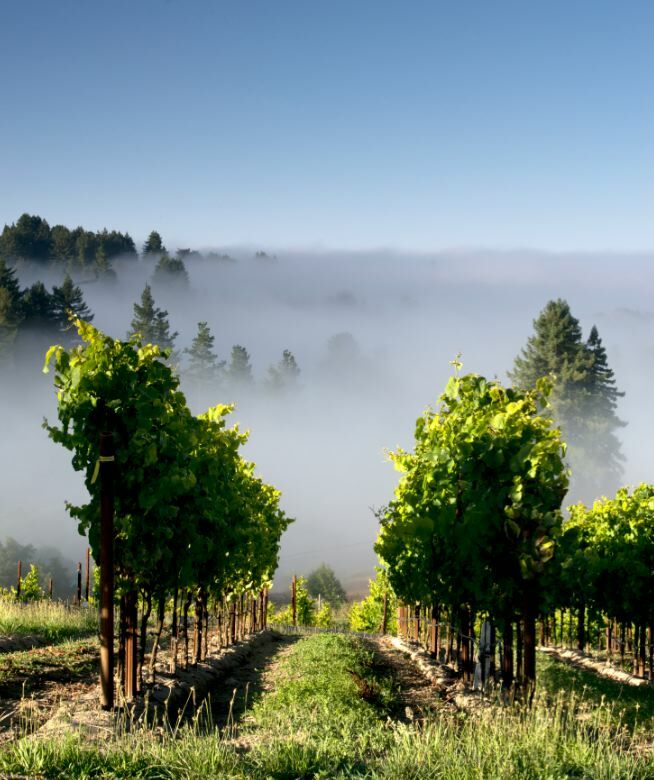 It is located in the Petaluma Gap region on the border of the Sonoma Coast appellation, and has been the source of exceptional MacRostie wines. 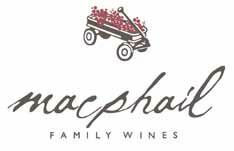 Today, MacRostie works with more than 30 Chardonnay vineyards and over 15 Pinot Noir sites, representing a remarkable diversity for a small winery. Since 2011, Steve MacRostie has been working alongside up-and-coming and innovative winemaker Heidi Bridenhagen to expand the MacRostie vineyard program. 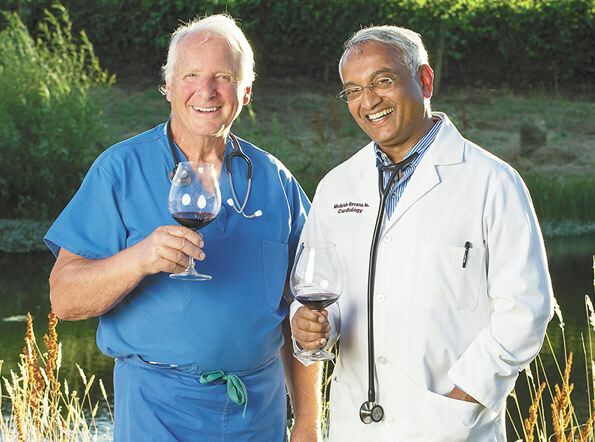 Although they both spend considerable time in all their vineyard sources, in recent years, they have called on viticultural specialist Allen Holstein (Argyle Winery, Stoller Vineyards and Domaine Drouhin Oregon) to refine the winery’s farming program. 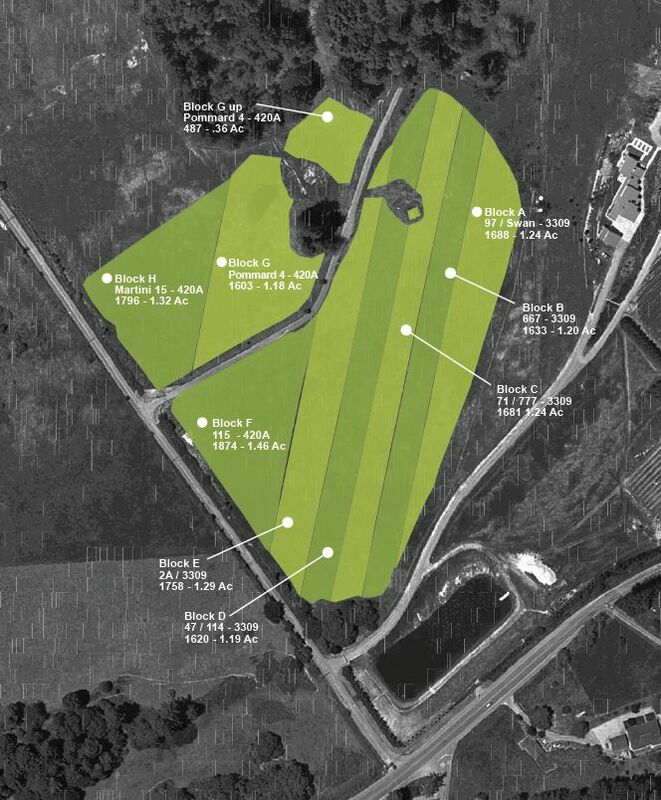 The core of MacRostie’s winegrowing program are five sites. 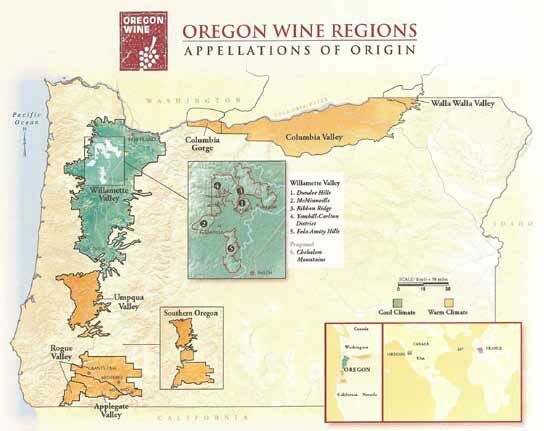 Wildcat Mountain Vineyard possesses volcanic soils and is located in a cool, windy and foggy mountainous site resulting in low yields. Both Pinot Noir and Chardonnay are planted here over 18 different blocks spread across five fields with a diversity of aspect. Dutton Ranch, guided by Steve and Joe Dutton, is a source of both Pinot Noir and Chardonnay. Sangiacomo Vineyard, located in Sonoma Carneros, was MacRostie’s earliest source of Chardonnay. The family owned vineyard is located along Sonoma Creek with vines planted between 1974 and 1994. Goldrock Ridge Vineyard is located near the town of Annapolis in the West Sonoma Coast region. Four clones of Pinot Noir are planted in Goldridge sandy loam at an elevation of 780 feet at the boundary of the fog line. The MacRostie Estate Vineyard (Thale’s Vineyard) consists of young plantings of Pinot Noir in the Middle Reach of the Russian River Valley. 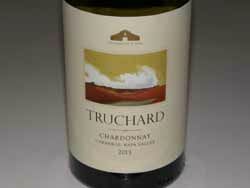 Steve and Heidi have also refined their approach to Chardonnay, and re-imagined the Pinot Noir program. 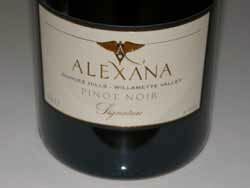 They work with lots of Pinot Noir as small as 1 ton, doing upwards of 80 individual fermentations each vintage. Even though MacRostie’s vineyard sources have grown to include some of Sonoma Coast’s most notable winegrowing families including the Duttons, Sangiacomos, Martinellis and Bacigalupis, the MacRostie style remains consistent - balanced wines with bright acidity and judicious use of new French oak. 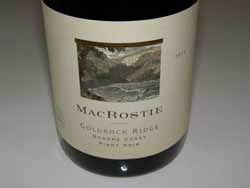 As evidence that MacRostie is evolving over time to embrace quality, the winery became the first Sonoma Coast winery to bottle all wines under screwcap. This was my first opportunity to extensively taste MacRostie wines. They were highly approachable and elegant, with modest tannins and minimal oak overlay. 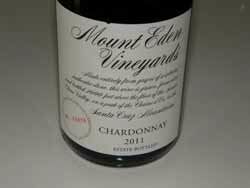 The wines represent outstanding value relative to quality and should be sought out. Visit the website at www.macrostiewinery.com to obtain the wines and plan to visit the new MacRostie Estate House when it opens early this year. 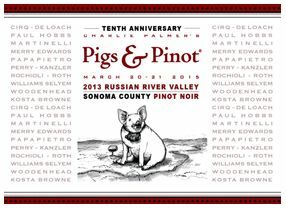 In addition to the wines reviewed here there is a 2012 25th Anniversary Russian River Valley Pinot Noir that celebrates MacRostie’s 25 years as a Sonoma winery and the opening of the new winery in the Russian River Valley (a six barrel selection, $54). Winemaker Scott Sisemore has a unique story. He is a stay-at-home Dad helping to raise two young boys while his spouse, Joanne, pursues a successful career in the biotech industry. His boys are both in school now, so he can devote more time to winemaking. 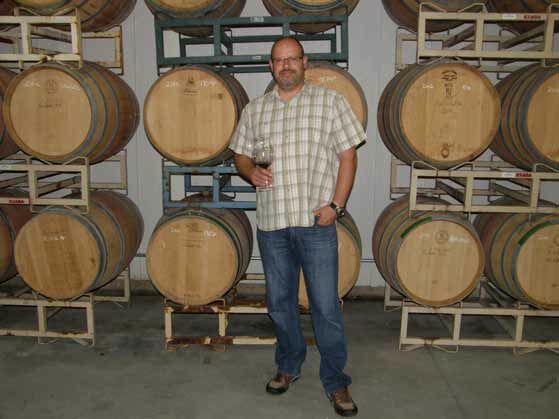 In 2014, he was able to leave his subleased space in San Carlos south of San Francisco, and rent his own dedicated winemaking facility in nearby Belmont. He spent much of the year outfitting the new space for wine production. Thankfully, Scott now has complete control over the winemaking process, something every winemaker ultimately desires. This last harvest he crushed 17 tons of Pinot Noir, Syrah and Riesling. 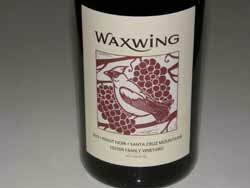 Waxwing wines are sold on the website at www.waxwingwines.com, and distributed to retailers and restaurants in California. 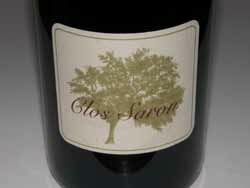 The estate Clos Saron Home Vineyard is 2.2-acres containing 4,500 own-rooted vines planted in red loam and clay topsoil on decomposed granite and volcanic ash subsoil sprinkled with granite rocks, basalt and quartz. It is located at an elevation of 1,600 feet in the Oregon House Valley in the Sierra Foothills. The vines are dry farmed, and sustained by combining organic and biodynamic principles. Every vine is tended to numerous times during the season. 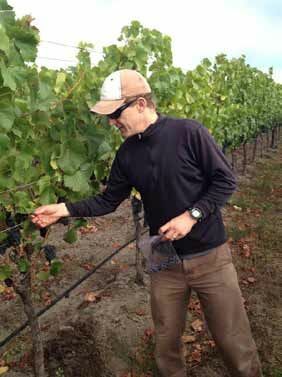 Winemaker Gideon Bienstock vinifies his Home Vineyard Pinot Noir according to the following protocol. The grapes are de-stemmed and crushed within 20 minutes of harvest. The must ferments in open-top oak fermenters coopered by the Rousseau family in Gevrey Chambertin. Ambient yeast drive fermentation and there is no malolactic inoculation, acid corrections and no SO2 additions during barrel aging. The wines are aged sur lie as long as necessary until bottled manually directly from barrel, unfined and unfiltered. 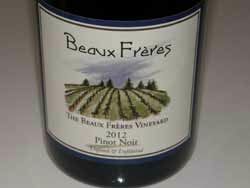 I have been a fan of the wines because they are unique and distinctly different from Pinot Noir made in other winegrowing regions of California. 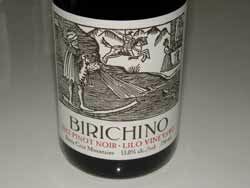 The wines are typically concentrated, earthy and tannic, and reward long cellaring. Visit the website at www.clossaron.com. The Pisonis are now celebrating three decades of farming cool-climate grapes making the 2012 vintage extra special. 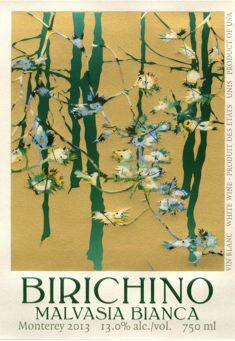 Everyone told Gary Pisoni he was crazy in 1982 when he wanted to plant Pinot Noir in the Santa Lucia Highlands at a time wine experts were recommending Riesling, Gamay Noir and Pinot Blanc. 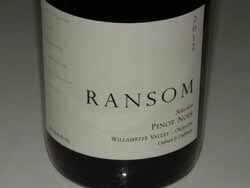 Gary knew better, and he thought the rugged, wind-shipped mountain rising 1,300 feet above sea level with a flinty, granite-laden soil would be ideal for making great Pinot Noir. The only drawback was the lack of water, but this was solved by daily treks with a water truck from the Salinas Valley floor to irrigate the tender vines. After eight years of water witchers and the drilling of five dry wells, a suitable water source was discovered. Gary now works side-by-side with sons Mark who manages the vineyard and Jeff who makes the Pisoni and Lucia wines. In the words of Tina Hammond, “2013 was a wonderful vintage, with a sunny and warm growing season ending in a cool fall.” Tina recommends holding the wines for at least 12 months in your cellar before opening. After tasting the wines, I agree. The wines are not as big and sappy and showy as the 2012 vintage. Both wines are 100% Pommard clone on vines planted in 1980 in Jory soil. 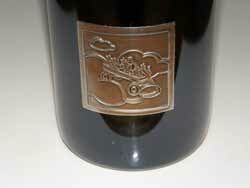 This winery was launched by winemaker Joe Otos in 2001 who was only 26-years-old at the time. 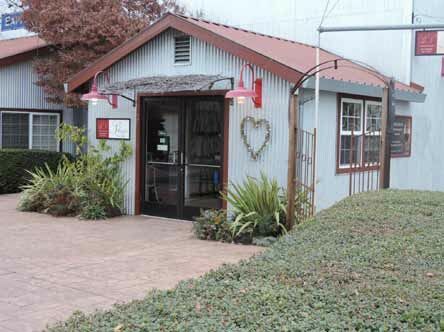 A tasting room is located in the Hudson Street Wineries complex in Healdsburg. 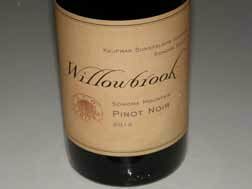 Visit www.willowbrookcellars.com. Owner and winemaker Stephanie Cook has a colorful career background resumé including international fashion model, a culinary degree, and owner of a successful catering company. 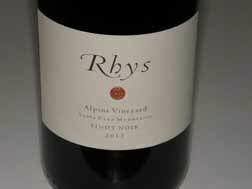 She always harbored the secret dream of becoming a winemaker and finally pursued this end when she began working at Robert Biale Vineyards. 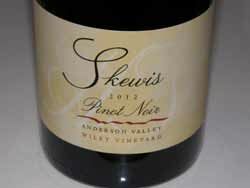 In 2011, she crafted her first Pinot Noir and Zinfandel wines. In 2012, she honed her skills at Spottswoode, spent 2013 at Anomaly Vineyards, and in 2014 worked 2 months as a winemaker at Spy Valley Wines in Marlborough. 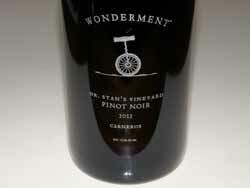 Visit the website at www.wondermentwines.com. 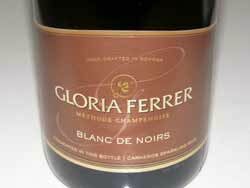 The four sparkling wines represent the core of the Gloria Ferrer portfolio. All are crafted using methodé champenoise.